Offer Something Really Useful ! 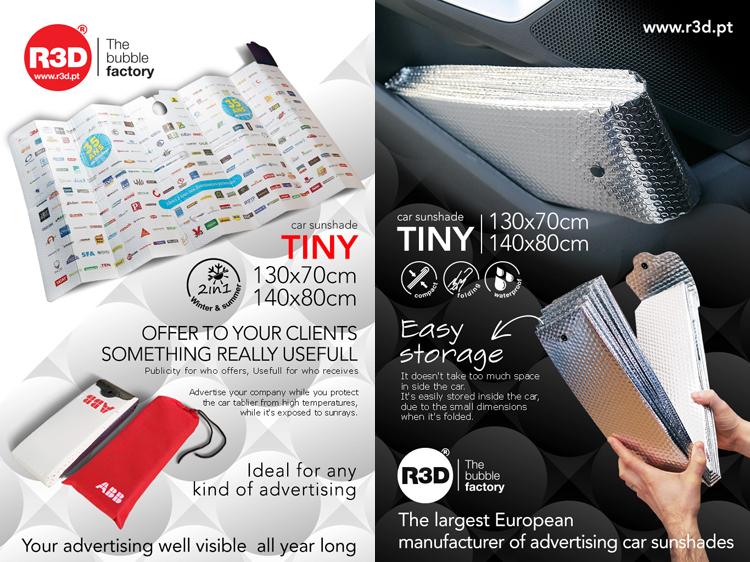 R3D – specialized in the manufacture of advertising car sunshades and wintershades is proud to present you the “ 2 in 1 ” model ” tiny “. 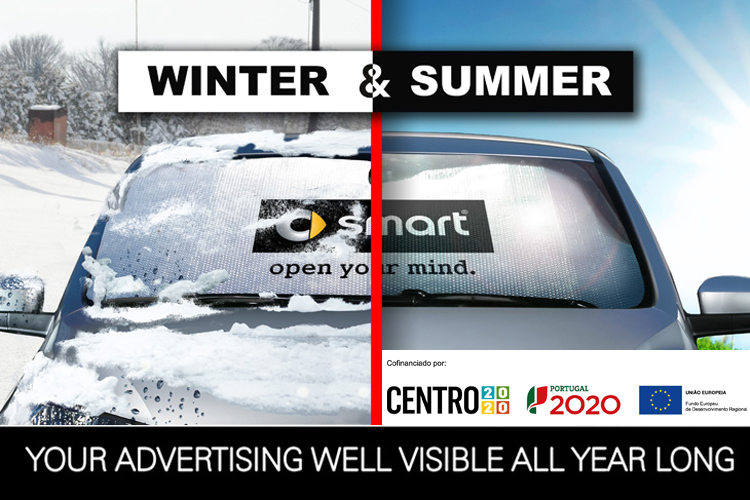 It is a CAR shade very easy to apply in order to protect car from sun in the summer (inside application) and from snow and ice in the winter (outside application). Beside, thanks to its compact folding, is very easy to store and a very attractive gift. Its big personalization area turns it into a great advertising support. The customizing options include screen prints and full colour prints from 100 pcs. This product is also Eco-Friendly – made out with metalized bubble itis water resistant, 100% recyclable and made mostly of recycled materials.